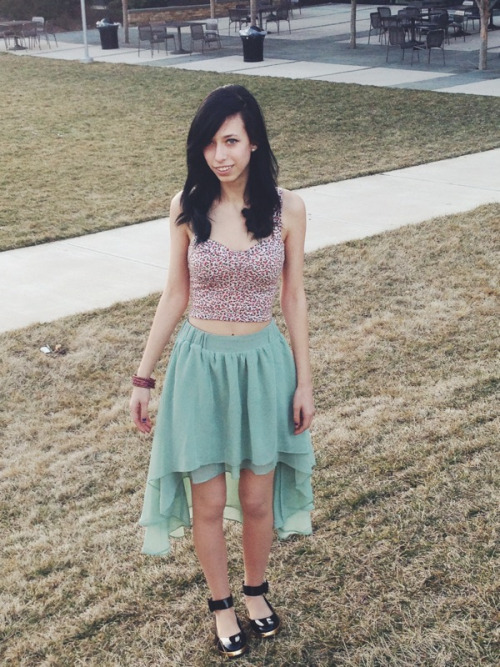 It was finally nice enough weather that I could wear a couple new clothing items. I feel like this is a nice music festival outfit, but I would definitely wear different shoes for that. I bought the top on sale from Urban Outfitters last year not knowing what I'd ever wear it with but have gotten a lot of use out of it since. The skirt is from Urban Outfitters as well and it was painful to buy it during the winter because it wasn't warm enough to wear it. I bought the shoes off of ASOS (my first purchase! ), also on sale. This is actually a good idea of how useful sale items are. And I bought the bracelets from an on-campus Bollywood club sale. 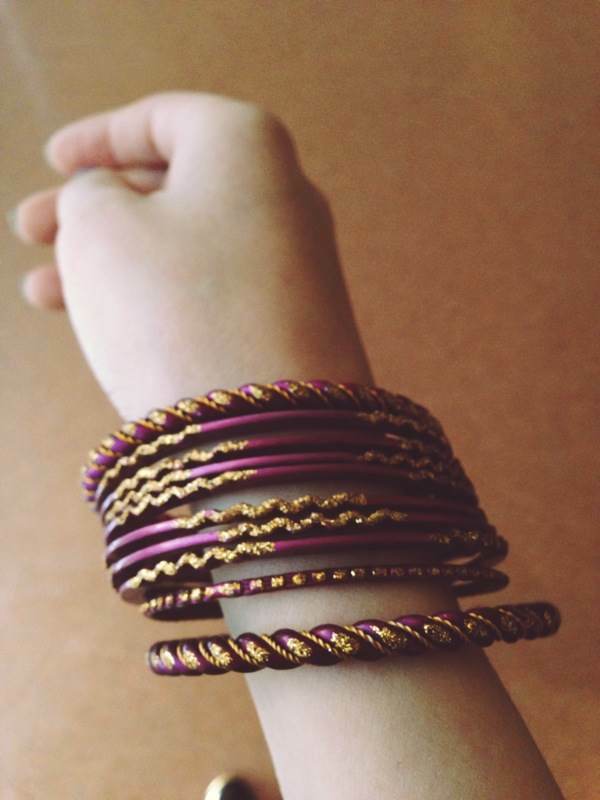 I was so happy to finally find bangles that won't fall off of me.